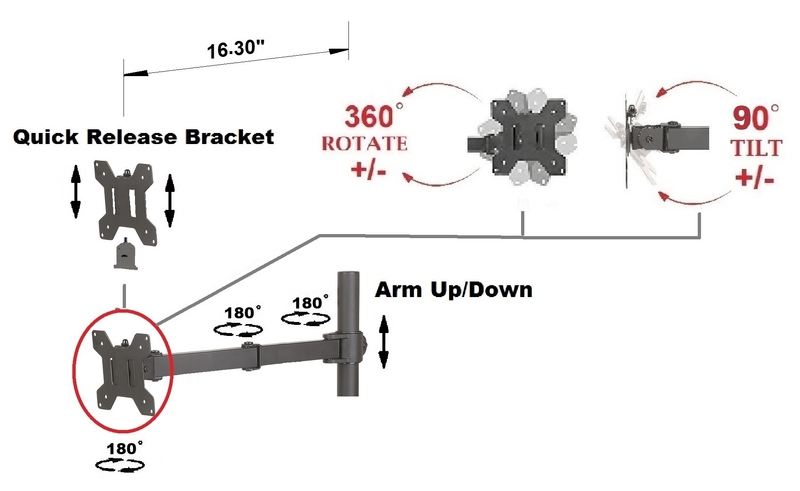 This sturdy, well designed EZM Single Arm Kit For 1 3/8" Diameter Pole Mount 16.3" Length works great with our products with 1 3/8" (35 mm) diameter poles. 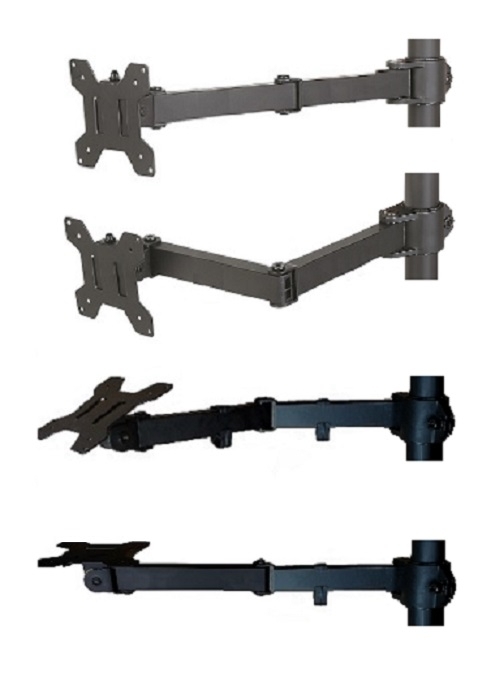 These products include our EZM Single, Notebook, Dual and Quad monitor mounts: 002-0036, 002-0005. 002-0013, 002-0007, 002-0009, 002-0008, 002-0014, 002-0027, 002-0008, 002-00015, 002-0028 and 002-0041. 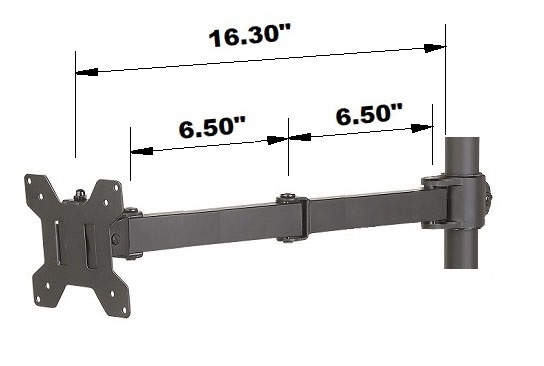 This EZM Single Arm Kit can be used either as a monitor arm or a notebook/Laptop tray arm or an accessory holder. Compatible with our Notebook/Laptop Tray 002-LT. 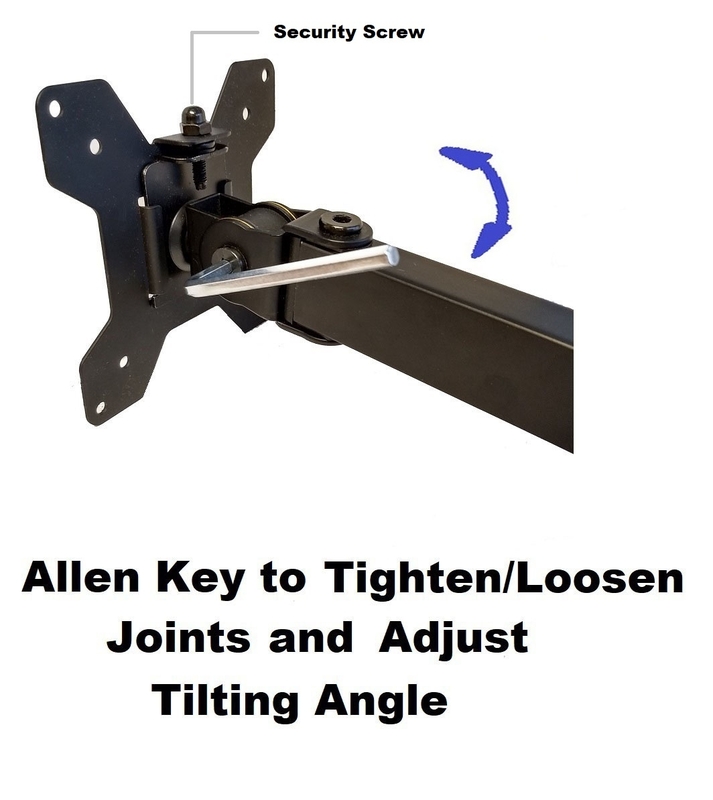 When using with Free Standing units please check the weight balance before purchasing.